Gleason Corporation has signed a definitive agreement with Daetwyler Industries AG and MDC Max Daetwyler AG to acquire all assets of Daetwyler’s Faessler gear honing business. Under the Faessler brand, Daetwyler has been producing gear honing machines, related workholding and tools for the high-precision hard finishing of gears. 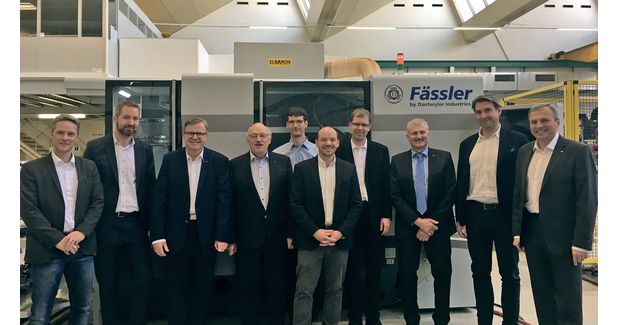 The business operations of the Faessler division, which has approximately 70 employees, will be acquired by a new Gleason subsidiary, Gleason Switzerland AG, and will continue to operate at its current locations in Bleienbach and Dietikon, both located in Switzerland. Gleason will retain Faessler’s existing management team and expects Faessler’s current employees to join Gleason. Gleason is a global leader in gear technology solutions. The company’s mission of Total Gear Solutions ranges from the development and sale of gear design software to the development, manufacture and sale of gear production machinery and related accessories, metrology equipment and automation solutions. The company’s products are used by customers in automotive, truck, aircraft, agriculture, mining, energy, construction, power tool and marine industries and by a diverse set of customers serving various industrial equipment markets. Gleason has manufacturing operations in USA, Brazil, Germany, Switzerland, India, China and Japan, and has sales and service offices throughout North and South America, Europe and in the Asia-Pacific region.